Congrats to Ralph Bocce-O for earning the #3 seed and having a bracket named after them. 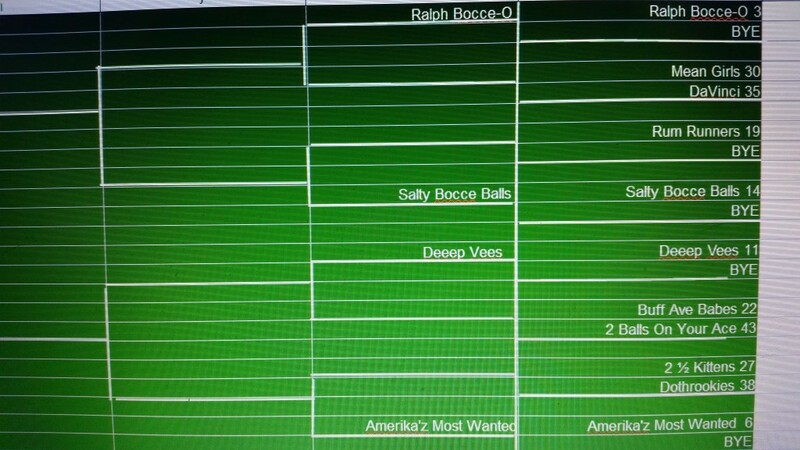 And congrats to Salty Bocce Balls, Deeep Vees, Amerika’z Most Wanted for earning byes. The winner of this bracket will play the winner of the Mark & Robb bracket in the final four.